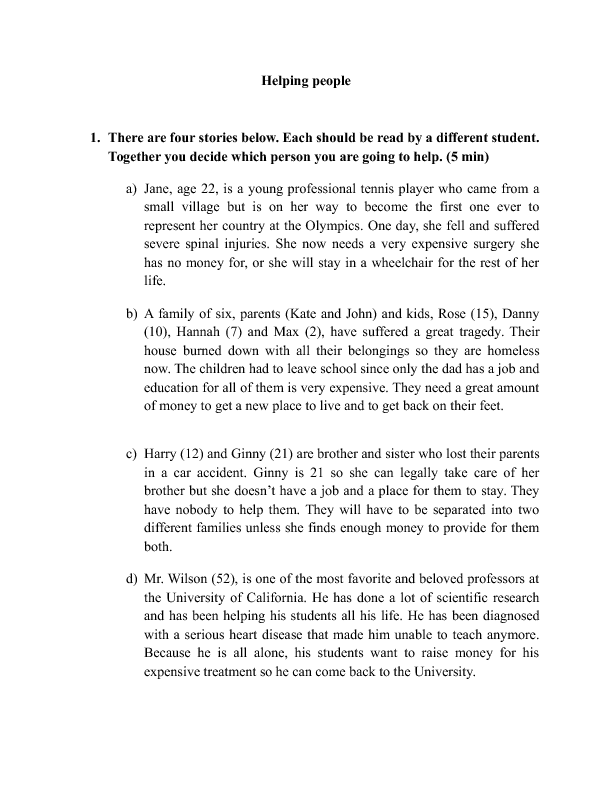 This worksheet contains four stories, students must choose one story and decide who of the four people they are going to help and then decide how they are going to help them to organize a charity event. This is suitable for group work. The worksheet also contains useful vocabulary and phrases.